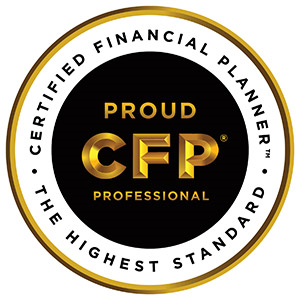 Rebekah J. Fero is a Certified Financial Planner PROFESSIONALTM who gives customized, strategic guidance to clients, and helps bring clarity to complex financial situations. For the past 30 years, Rebekah has offered her financial planning expertise and service to the Charlotte County community. Rebekah’s mission is to connect personally with each client and help you gain a fresh perspective on your financial life, so you feel confident, informed, and supported through life’s challenges. Rebekah’s services include: comprehensive financial planning, wealth management, retirement planning, estate planning, investment planning, risk management, Social Security planning, divorce planning, and healthcare planning along with senior care and health concerns. A customized financial plan can help you and your family to live the life you envision with confidence. Independent Advice and strategies that are based on your written IPS (investment policy statement) and the outcome of one’s financial plan. Design appropriate investment plan, monitor the performance and rebalance the portfolio as needed to keep your allocation model in line with your risk level. Rebalancing a portfolio may cause investors to incur tax liabilities and/or transaction cost and does not assure a profit or protect against a loss. Asset allocation does not ensure a profit or protect against a loss. Monitoring of one’s annual required minimum distributions at 70.5 and or inherited IRA mandatory distributions. **Representatives and Employees of LPL Financial are not attorneys or CPAs and may not give legal or tax advice.